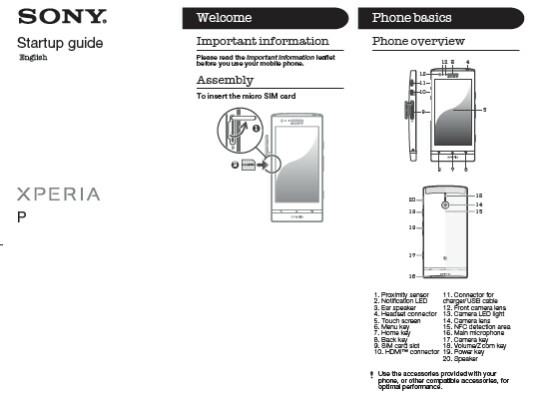 With talk that a distributor by the name of Brightstar Corp. was planning on supplying some smaller regional carriers in the States with Sony's newest Xperia line, the Sony Xperia P visited the FCC. Nowhere in the documentation or in photographs was there any sign of carrier branding that you might see if a FCC visitor was bound for one of the top four U.S. mobile operators. The model was originally introduced during MWC 2012 in Barcelona. The Sony Xperia P, not to be confused with Sony's Tablet P, has a 4 inch TFT display with qHD resolution and a pixel density that works out to 275 ppi. The display is produced using Sony's WhiteMagic technology which is supposed to make the display extremely bright, even when outdoors. Driving the device is a dual-core 1GHz STE U8500 processor. There is no microSD slot on the device which means you are reliant on the 16GB of native storage available on the phone. On the back is an 8MP camera with LED flash that captures video in 1080p while a VGA front-facing shooter takes self-portraits and enables video chats. 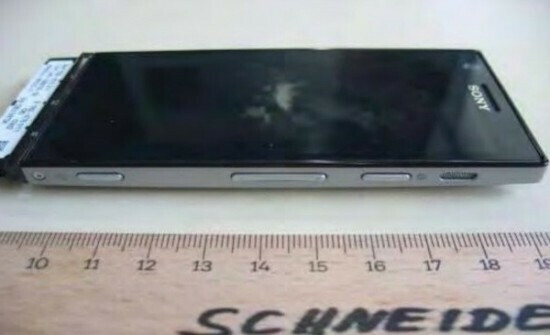 The FCC filing uncovered the Sony Xperia P's support for quad-band GSM, NFC and its HSPA connectivity. Hopefully we will find out soon the carriers in the U.S. where the device will be hanging out. Well, you know that it will not be with Verizon, and I doubt AT&T wants any more non 4G LTE phones, either. Specs seems ok - good mid-level entry Android phone. I think its because of problems with saving/loading apps from the sd or something like that. I did read some where, that eventually all phones will have no sd slots ...I think it was on phone scoop .